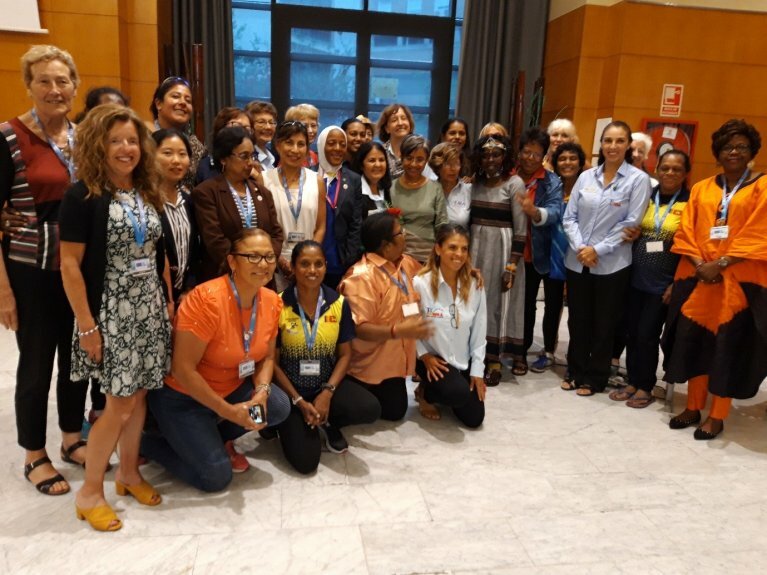 Ms Kalaivalli R, Ratnam, AMA Women Representative was invited to give a talk to WMA Women Committee Members from all 6 Regions during the WMA Championships in Malaga, Spain. During the WMA Women Committee Meeting on 13th September 2018, at 3.00 pm, Ms Kalaivalli R. Ratnam gave a talk on “Women’s Participation in Olympics”, for 1 hr 15 minutes. Around 60 Women Committee Members from 6 regions attended . Most of the WMA Council Members and also some men officials from a few countries attended to listen to the talk. The presentation was well received by the participants and many were inspired by her talk. AMA feel proud that AMA Representative was invited to give the talk to women committee members from North America, South America, Europe, Oceania, Africa and Asia .